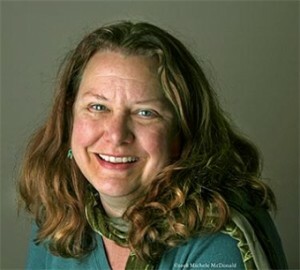 Megan McDonald, author of the beloved Judy Moody and Stink books, will serve as the national spokesperson for the 2016 observance of School Library Month. 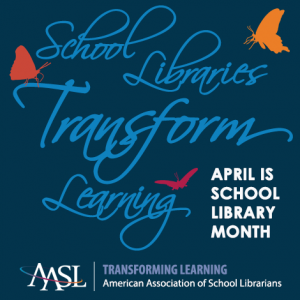 Celebrated in April, School Library Month honors the essential role that strong school library programs play in a student’s educational career. McDonald began her career as a children’s librarian at the Carnegie Library of Pittsburgh. During one story hour, McDonald read her own story about a hermit crab. After the program, parents asked her where to find the book. She had to confess; the book wasn’t published – yet. Encouraged by the parents’ and children’s feedback, her story became her first book, “Is This a House for Hermit Crab?” The book won numerous awards, including being named a Children’s Choice Book by the International Reading Association and Children’s Book Council. It was also a Reading Rainbow book selection for an episode of the same name and was read by Eartha Kitt. With “Is This a House for Hermit Crab?,” McDonald launched a writing career which, to date, includes sixty books for children and young readers, including the popular Judy Moody series. The series shares the adventures of the feisty (and moody) 3rd grader and has won many awards including the Publishers Weekly Best Book of the Year, an International Reading Association Children’s Choice and the first-ever Beverly Cleary Children’s Choice Award. The series is so popular, McDonald’s hometown of Sebastopol, Calif., declared May 14, 2006, as “Judy Moody Day.” Enthusiastic fan requests also led McDonald to write the Stink books, a spin-off series featuring Judy Moody’s little brother Stink. More information and resources, including an upcoming PSA featuring McDonald, can be found on the AASL website at www.ala.org/aasl/slm. ‹ Web Evaluation: Does This Website Smell Funny to You?